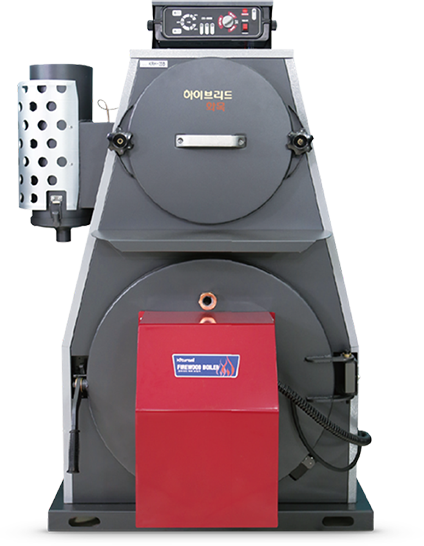 Hybrid system boiler automatically switches between wood fired boiler and oil boiler by internal sensor. 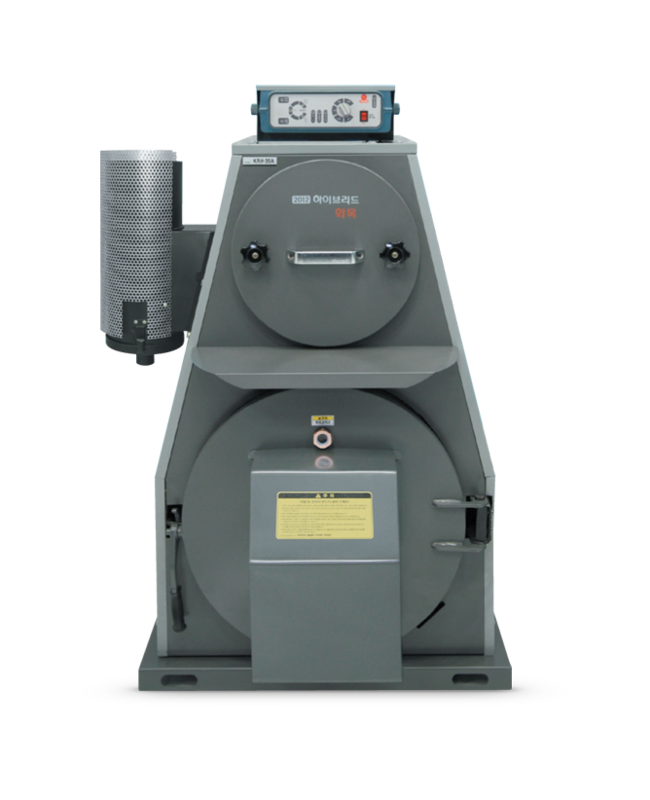 It is safe boiler equipped with every safe units and provides sufficient amount of hot water. Hot water heat exchanger made from high-end stainless is placed on top hotspot to provide clean hot water quickly and sufficiently. 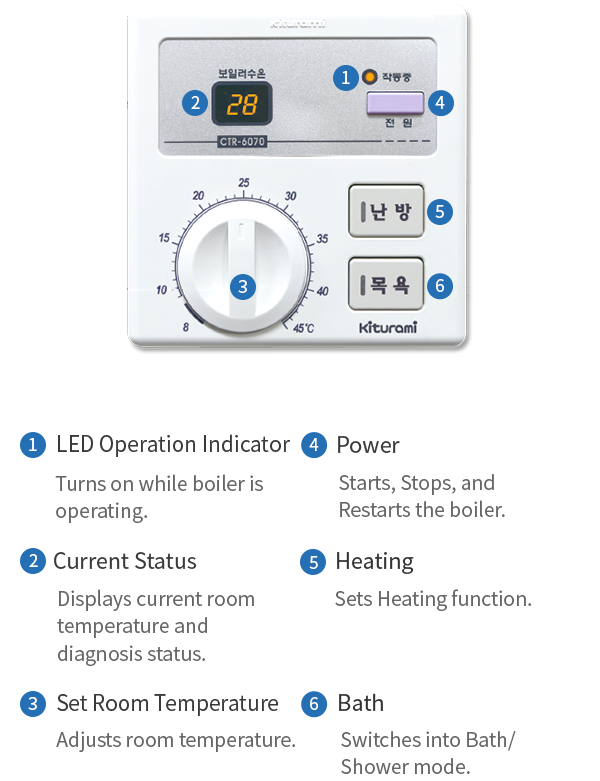 Safe boiler by adopting a cutting-edge automatic control functions such as overheating detection, low-water detection, etc. 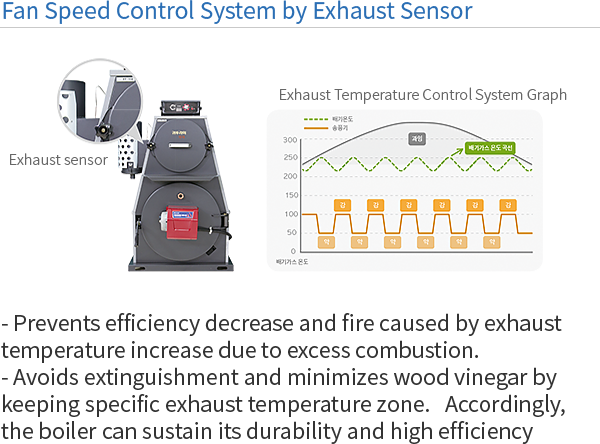 Ensures optimal firewood combustion while preventing exhaust-temperature increase, efficiency decrease and fire due to excess combustion by adopting 2-phase fan-speed control system with exhaust sensor. 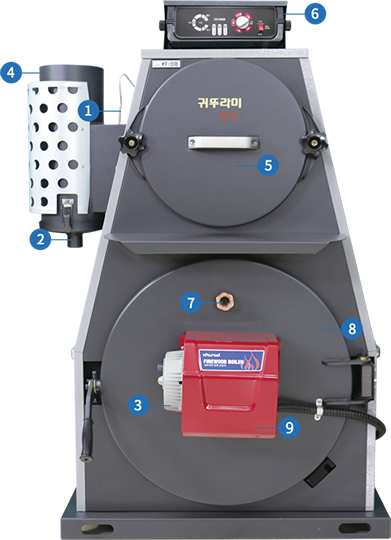 Auto Fan Off function is provided to turn off the fan if the firewood is completely combusted, thus saving energy.